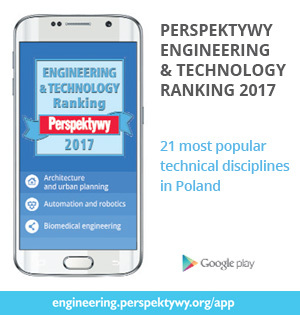 The Perspektywy Ranking of Engineering Studies 2017 represents a structured information about 21 most popular fields of engineering and technical studies run by Polish universities. The Perspektywy Ranking of Engineering Studies 2017 represents a structured information about 21 most popular fields of engineering and technical studies run by Polish universities – both public and private. 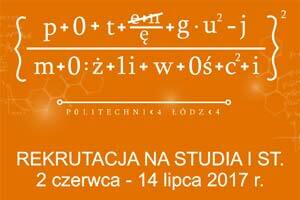 It is assumed that the fields covered by the Ranking must be run by the unit (department) at the master level of full-time studies and lead to the title of MSc (Master of Engineering, magister inżynier in Polish). 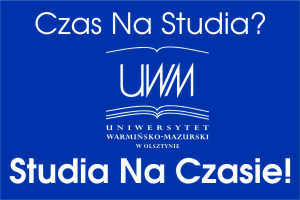 It should be mentioned that studies awarding the BSc title (Engineer, inżynier in Polish) or of MSc (Master of Engineering, magister inżynier in Polish) are also conducted by comprehensive universities. In some cases technical HEIs run studies whose names presuppose technical specializations, however, they do not lead to the BSc or MSc titles– such units were not ranked. The unit under consideration in the ranking must have the right to confer PhD degree in at least one field, irrelevant of the science and discipline. INNOVATION – indicator: patents and loyalty rights. Academic reputation (teaching) - indications in a survey conducted among university academic staff (2512 full professors as well as PhDs with habilitation, who obtained their current academic title within the previous three years). The study did not include votes for universities were respondents are employed. The survey was conducted via the Internet, with the help of CAWI method. Each of the respondents defined the field, discipline and learning area and field of study. Survey was conducted by Perspektywy Education Foundation. Employer reputation (12%) - a number of indications of a university in a survey conducted on a representative group of 1800 employers, having their head office in Poland. The survey was conducted by combined CATI-CAWI method (via phone and the Internet). The survey was held among all groups of employers in all voivodships. Companies indicated three main fields of activity connected with adequate groups of fields of study. They also indicated universities whose graduates companies appreciate and want to employ. Employment of graduates of a university provided additional points. The survey was conducted by research company INDICATOR on the instruction of "Perspektywy" Education Foundation. Alumni’s Economic Situation (12%) – a new criterion measured on the basis of earnings of a certain academic field graduates’ as well as indicators of their employment – according to the nation-wide survey “Alumni’s Economic Situation” ("Ekonomiczne Losy Absolwentów" in Polish) conducted by the Ministry of Science and Higher Education, with the use of ZUS (abbreviation from: Social Insurance Institution, Zakład Ubezpieczeń Społecznych in Polish) data. The indicator takes into consideration three parameters: earnings as regards to the average in the area (administrative district) of living (50%), percent of the graduates in ZUS databases (25%) and the risk of unemployment as regards to the unemployment rate in the area of living (25%). Parametric evaluation (7%) – the indicator shows the assessment given to a university unit by the Polish State Committee for Evaluating Research Institutions (KEJN). Index ranking (1-4) depends on the category given to the unit. In the case of units with many fields of study the unit will have the same index ranking in the groups in which it is classified. Source: KEJN data. Rights to confer academic degrees (5%) - the indicator is based on the sum of the rights to confer PhD degrees, both pure and with habilitation within the field of studies conducted by the unit. The highest notes are given to the units giving the above degrees in the fields directly connected with the disciplines ranked. The unit conferring doctoral degrees with habilitation was weighted 6 and the ratio of rights to confer PhD degree was weighted 4. The units having rights to confer degrees in other fields without direct connection with the fields ranked were given weights 2 and 1 accordingly. Source: POL-on database. Academic degrees conferred (2%) - the number of obtained - PhD degrees with 1 weight and PhDs with habilitation with 1.5 weight to the total number of full-time staff in the unit. Source: POL-on database, university questionnaires. Publications (8%) - number of publications included in the SCOPUS database in 2011-2015. Each publication is assigned - according to SCOPUS database - to the appropriate fields of science, including the quality of the title (journal). Source: SCOPUS database. Citation (8%) – ratio of citations in 2011-2015 to the number of publications. Source: SCOPUS database. H-index (4%) - ratio of publications and their citation measured by the method of Hirsch for the years 2011-2015. Publications are assigned to the appropriate fields of study on the same principle as described in the criterion "publications". H-index – h, is defined as a number of publications whose number of citations was was the same or exceeded h. Source: SCOPUS database. Quality of the admitted candidates (12%) – a new indicator measured by the results of the secondary school certifications of the first year students who were admitted to the university units and started studies on October 1, 2016 (only 2016 secondary school leavers were taken into consideration). The indicator on the one hand, shows the quality of the university itself (as the choice of the most talented) and on the other, creates this quality as the best students affect the level of the academic process. Source: university questionnaires. Availability of academic faculty to students (5%) – the number of teachers full-time employed (PhD with 1.0 weight; PhD with habilitation with 1.5 weight and professors with 2.0 weight), in relation to the number of students at a university (full time students with 1.0 weight; part time students with 0.6 weight). Source: POL-on, university questionnaires. PKA distinctive note and other field accreditations (5%) - current assessment of the distinctive PKA (abbreviation from: Polish Accreditation Committee, Polska Komisja Akredytacyjna in Polish) note for a certain field of studies or the institution as well as other field certifications and accreditations. Source: PKA database, KAUT database.